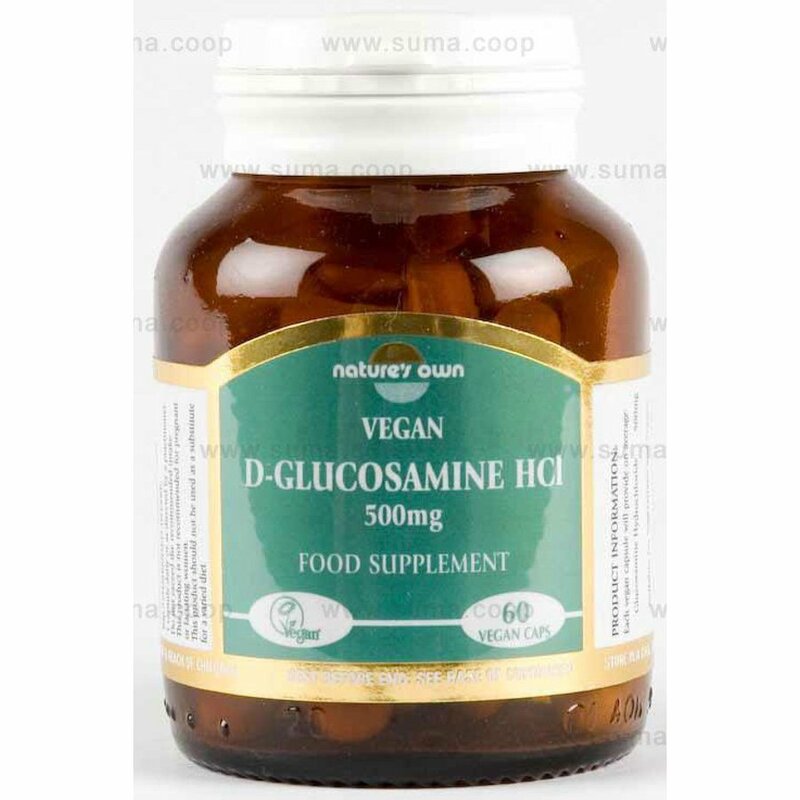 Glucosamine Hydrochloride (the chloride form of N-acetyl Glucosamine) is the newest and purest form of glucosamine, and the form now preferred by the medical profession for long-term use. When there is excess wear, more raw material is needed for repair of the joints and surrounding structures. If body chemistry is unbalanced, it may be that insufficient glucosamine is formed, which limits our ability to repair wear and damage. Equally, as we age, the enzyme glucosamine synthetase becomes less effective, which slows the rate of matrix repair. This is why healing is slower in the elderly. Glucosamine speeds regeneration. As long as your rate of repair keeps up with the rate of tissue loss, your bones and tissues will stay healthy. Suggested Intake: 1-3 capsules daily with food, or take as directed by a practitioner. 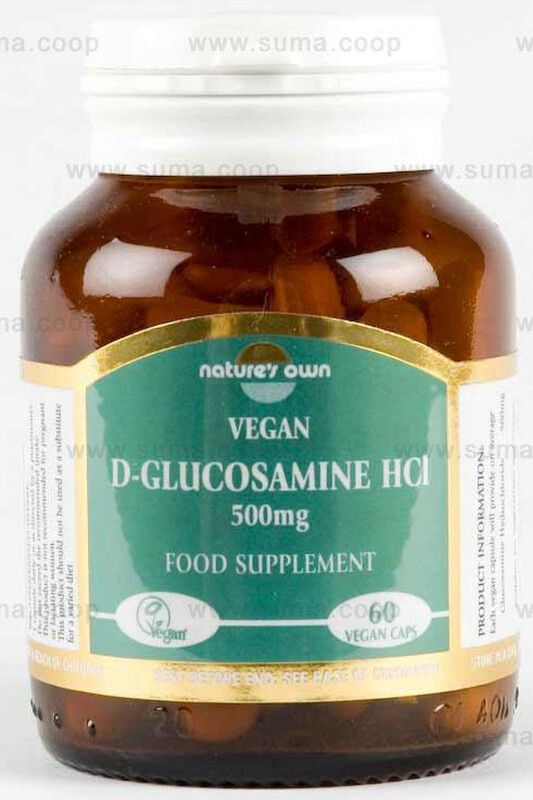 The Natures Own Glucosamine Hydrochloride 60 Caps product ethics are indicated below. To learn more about these product ethics and to see related products, follow the links below. I buy these for my 90 year old Mother, they were recommended by an orthopaedic specialist to help speed up healing after she strained her back badly 6 months ago. She has osteoporosis and osteo-arthritis and normally heals very slowly after any strain. These seem to really help, she was back on her feet, and with little pain, (we don't use prescription painkillers), much quicker than expected. So now she continues to take these to inprove overall mobility. They work, are easy to swallow, and no side effects. There are currently no questions to display about Natures Own Glucosamine Hydrochloride 60 Caps.